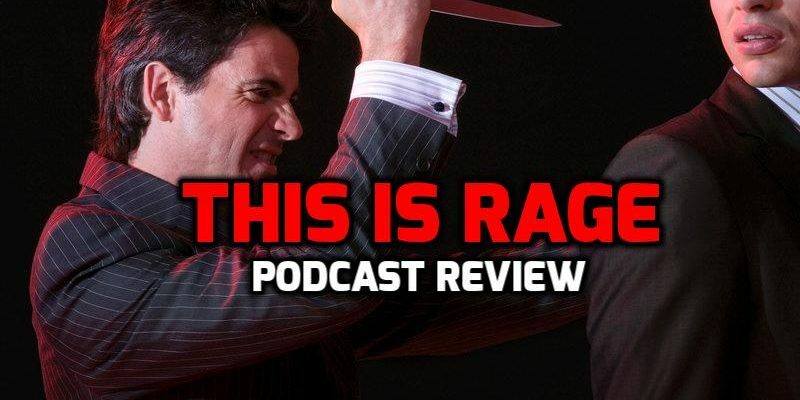 This is Rage is a new fictional podcast set in Silicon Valley. It revolves around the kidnapping of two tech SEOs, an event which revives the flagging career of a radio personality. It’s based on a book by Ken Goldstein and received 65,000 downloads in the first two weeks, which I assume is pretty good for something that isn’t from Malcolm Gladwell or NPR. It also featured in the iTunes New and Noteworthy selection. Personally I’m not super into storytelling podcasts – not fictional stories anyway. I don’t think it’s too ethnocentric of me to say that if I was ever in the mood for some radio drama I’d head over to the BBC and see what they had lying around. Anyway, the makers of this podcast included me in their promotional email blast so I gave their first three episodes a listen. It’s pretty well made – about 30 minutes long, solid voice acting (I wouldn’t say perfect) and there wasn’t anything that put me off. There aren’t too many podcasts where you can listen to an hour and a half and not be absolutely infuriated by something. However, there are three fundamental problems. The first is that I just don’t care about the story, and that’s partly owing to the medium. But the story has to do a bit of work, too. After 3 episodes I should care about the characters a bit, or be entertained enough to let them grow on me. The second problem is the topic – raging against the excesses and rapaciousness of late-stage capitalism is pointless – literally nothing has changed since the financial crisis and nobody cares enough to do more than tut and whinge. I’d have been more into this story in 2008. Finally, pointing out the foibles of Silicon Valley has been done better, not least in the pitch-perfect TV show called Silicon Valley, where nerds triumphantly announce they are ‘changing the world through integrated low-latency verticalisation platforms’ etc. This story doesn’t add anything new. So in summary, I listened to 3 episodes, and might listen to the 4th when I run out of my other stuff. Someone more into radio drama-type content might like it more than me.